Who would think healthy living can start with choosing the right kind of salt? 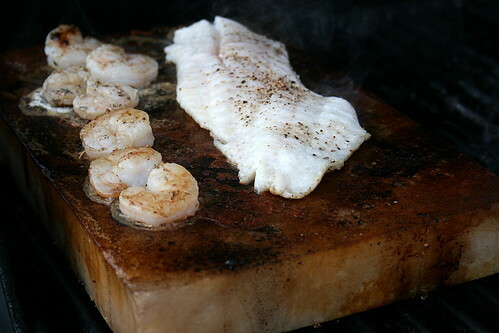 Learning about the Himalayan salt benefits will encourage you to look more closely into the seasongings you are using. It is always good to know ways that will make it easier to eat healthy in today’s world of processed and junk foods. You would think all salt tastes the same no matter what kind it is. However, once you have tried Himalayan salt, you will understand that is not true. Commercialy refined salt lacks the organic satisfying taste that your palate can truly appreciate. Several cooking shows recommend Himalayan salt for its flavor alone. A light touch of this salt changes foods for the better when you grill or sauté your meat and vegetables. Salt helps in regulating the body’s water, which is more than 70 per cent of the human body. The basic components of salt – Chloride and sodium ions – are necessary for the human body. However, salt is better taken in the right amount and in its organic form. Too much salt intake is thought to be one of the causes of high blood pressure. People take more salt because a little bit of commercial salt does not provide the kind of flavor desired right away. Such is not the case with the authentic Himalayan salt. Most commercial salts are processed with a variety of additives that inevitably affect the taste and flavor. It has become a cause of concern, especially in developed and developing countries. Sometimes, too much work on nature’s products can do more harm than good. When in restaurants, it is way too easy to over consume salt when salt shakers are just sitting right there on the table, and optimum flavor is difficult to achieve. You should think twice before adding “just a little more” lest you get carried away. At home, using Himalayan salt, you are assured that you are eating properly, provided that you use other safe ingredients when cooking. You can even carry a little flavoring packet of salt with you, and avoid the refined salts. People who enjoy soaking in a bath may also use the Himalayan salt for rejuvenation and self-pampering. It detoxifies your skin and allows it to breathe without the layers of commercial products infused into regular bath salts. Himalayan salt helps clean the skin from inside out, allowing you to feel truly fresh after a bath. Himalayan salt is is also used in the form of candles and lamps. This is done to offset all the positive ions in the environment, especially in a room full of gadgets and computers. The negative ions of Himalayan salt are known to offset the level of positive ions in a room. Ergo, you are able to detoxify while working. Modern living can be toxic. One should be creative and resourceful in practicing simple steps to stay healthy amid the stressful elements of life. Go easy on processed foods. Go easy on commercial ingredients. Trust the basics. Go for natural ingredients, like Himalayan salt. Himalayan salt benefits can be part of a better diet. No matter how you choose to use Himalayan salts, they can have a positive inflluence on your health! Himalayan Salt Shop – The original Himalayan salt shop with edible salt, Himalayan salt lamps, and bath salts. Health Food Made Easy – Himalayan Salt – Get a FREE report about Seven Secrets for a Healthier Diet and discover easy ways to change to a better diet.